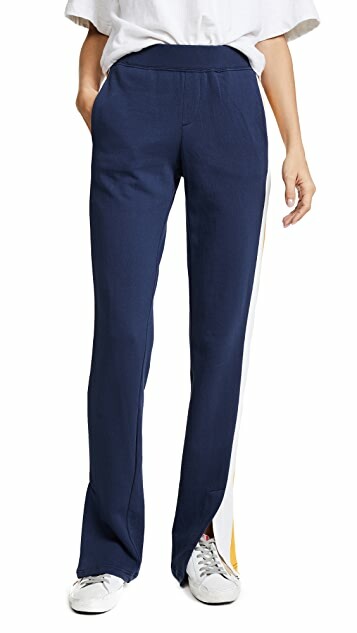 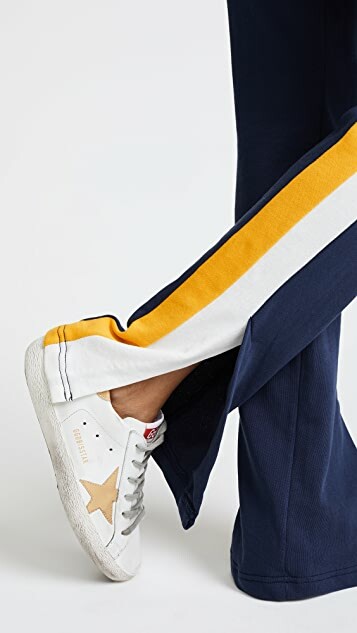 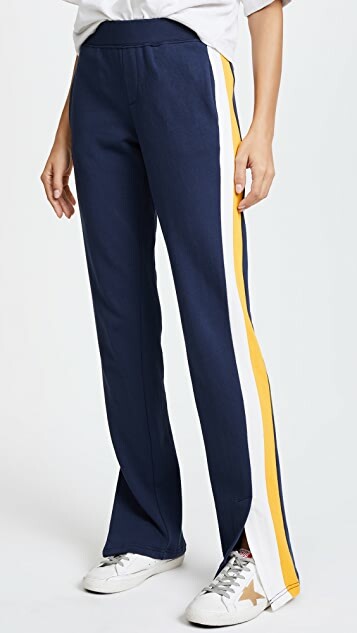 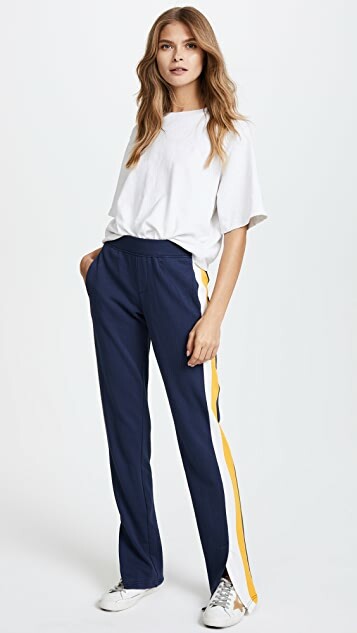 Sporty Pam & Gela sweatpants with a striped outseam and split cuffs. 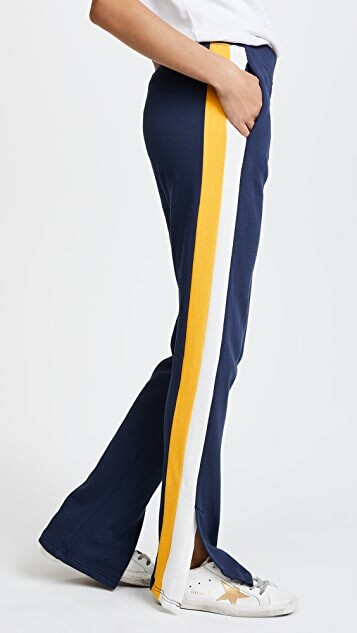 Faux fly and faux welt back pockets. 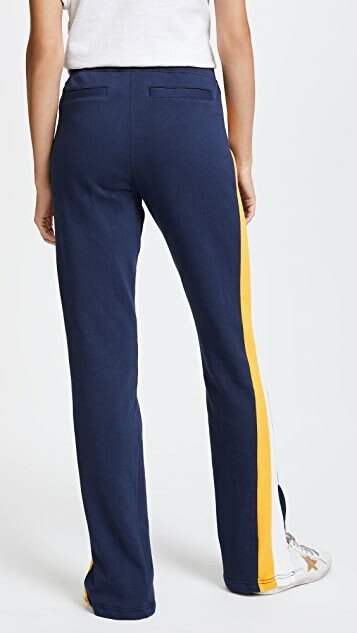 Hidden elastic waistband.